We’d like to say a massive thank you to our UK customers for the fantastic response to our recent online customer survey. And many congratulations to Richard Wheatley of Dalrod, who was randomly selected to win the Macbook Air prize for taking part. The information gathered in the performance survey is of great importance to the organisation and will help shape the future direction of services. 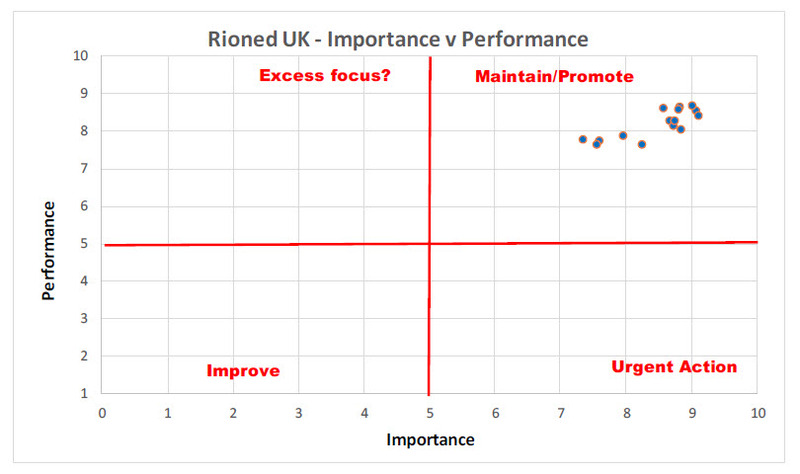 We asked two sets of UK customers (Rioned and Andy Guest Jetters) to respond to 30 qualitative and quantitative questions by telling us how important aspects of our business were to them. Overall we were very pleased with the customer feedback. It endorses the fact that we are innovative, flexible, reliable and provide high-quality products. Also of great importance to us is that customers think we’ve improved over the last few years, and many see us as a partner and not a supplier. While the survey results offer reassurance that we are moving in the right direction, there were areas highlighted for improvement, and we intend to address these as part of our commitment to providing the best possible customer service. One area that customers highlighted perhaps more than any other was a desire to do more business with us online. This is a part of the business we have been focused on for some time and Rioned is delighted to have recently announced the launch of the Rioned UK webshop at www.rioned.co.uk. The new store will enable customers to login and purchase parts and accessories on account. Again, a massive thank you to our customers for taking part in the survey, and many congratulations to the winner of the Macbook Air, Richard Wheatley. 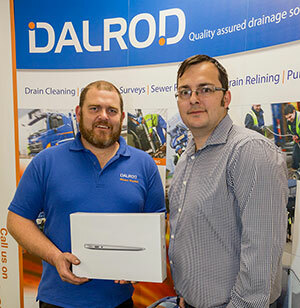 Rioned UK Sales Manager Mark Cox presenting Richard Wheatley of Dalrod with a Macbook Air.